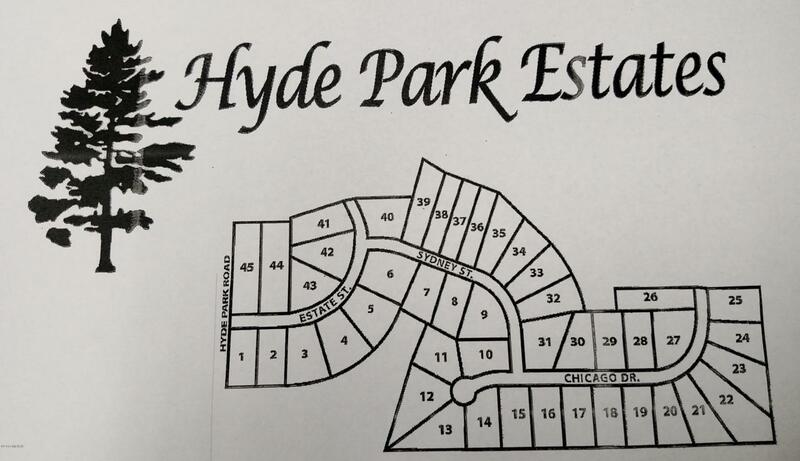 Hyde Park Estates has many beautiful exclusive wooded building sites now being offered. Lots are wooded with rolling terrain. Numerous lots adjoin thousands of acres of U.S.A. land. Lot sizes range from .92 - 1.61 acres. Conveniently located within minutes to US 31 and shopping. Lots of wildlife and recreation in the area. Pick out your special and private lot for your new dream home! Listing provided courtesy of Greg S Bush of Greenridge Realty White Lake. © 2019 MichRIC, LLC. All rights reserved. Information deemed reliable but not guaranteed. © 2019 MichRIC, LLC. All rights reserved. Information deemed reliable but not guaranteed. Updated: 2019-04-18T16:00:57.283.